As if being on a Hawaiian beach isn't enough. 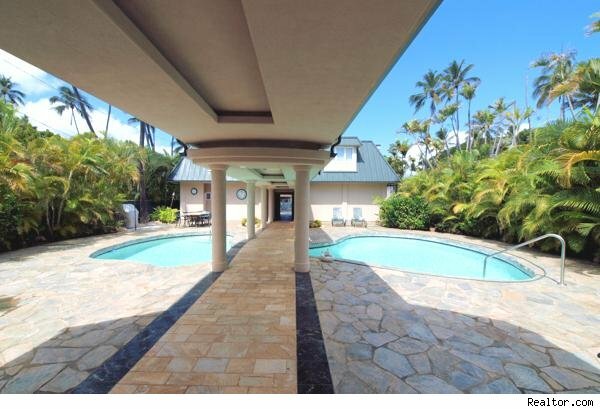 This $16.95 million home in Honolulu is designed for entertainment. Delight guests with sunset cocktails in the spacious living room or on one of your oceanfront lanais. 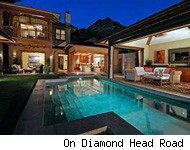 Or go swimming in your heated outdoor pool, equipped with barbecues. To really get the party started, get your groove on in your own private disco! 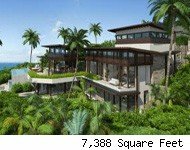 With 9,711 square feet of living space, it will be tough to find time to go outside to your pristine private beach. But no worries: panoramic windows will let you enjoy the beach from inside the house, too, not to mention views of Koko Head's slopes and the cliffs of Black Point. And if you ever want to leave (I can't imagine why), you're just minutes from Waikiki, world-class shopping, dining and even more entertainment. Prudential Advantage Realty of Hawaii has the listing. 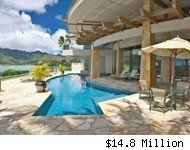 Click on the images below to see more homes for sale in Honolulu.